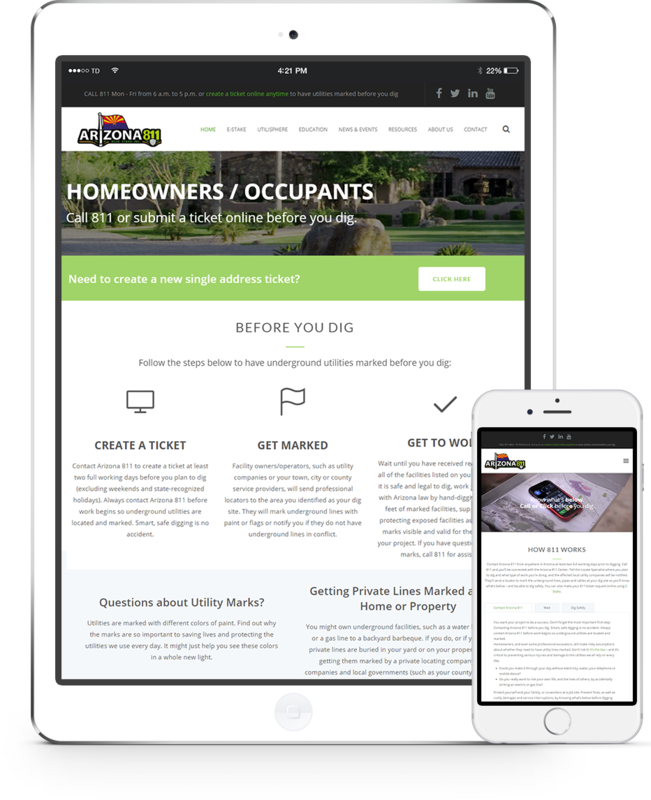 Located in Phoenix, Arizona, Translucent Developments is a full-service web design and web application development company. With services ranging from high-end web application development to intuitive web design. Our services are designed with one objective in mind: Providing you with a competitive edge in your industry. Regardless of complexity, every detail of your web design or web application development project is always completed. This focus on complete customer care results is a one-of-a-kind product created according to your projects specific requirements. Picmonic is a highly interactive web based educational platform aimed at medical students and legal professionals. In the words of the Picmonic team, “A picture is worth a thousand words. Picmonic takes that literally, by turning the information you need to know into unforgettable images and stories that will make studying easier than ever”. 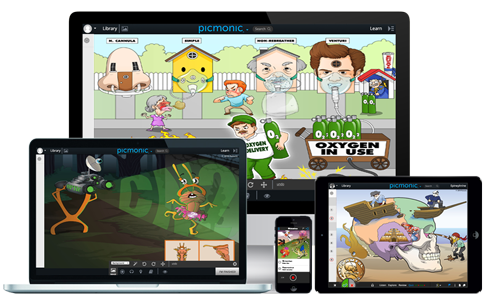 The one of a kind Learning Content Management System (LCMS) developed for Picmonic by TDevelopments delivers educational content through manipulation and interaction between users and picture mnemonics and is considered by most to be an educational revolution. Discover how we can launch your startup or modernize your existing business. CE Zoom is a cloud based service that simplifies continuing education for Healthcare Professionals. Members can easily find and schedule courses, store existing completed course information, and track progress against continuing education requirements among a host of other cool features. The web application developed by TDevelopments allows for management of all aspects of the service including content, courses, plans, members, financials and more. Engineered for future growth, the service can operate across multiple states, countries and verticals. Proactive Training Solutions came to us with very specific needs; to modernize all existing technology, provide corporate branding services, launch a responsive public facing website and aggressively market to their core demographic. After successfully meeting all requirements, launching new technology and marketing campaigns, Proactive Training Solutions continues to record measurable growth month over month for all business services. Prior to selecting TDevelopments, Arizona 811’s web presence did not match their truly awesome corporate image. Arizona 811 is large company with great office culture but web visitors would have never known based on what they saw before our involvement. Their previous web design solution was not responsive and therefore was not capable of servicing the needs of the vast majority of users (mobile users) visiting their website. The web design solution we delivered includes a vast array of features including video backgrounds, parallax effects, CSS3 animations, is based on bootstrap for mobile responsiveness and has a CMS which allows for full control over all content and rich media. 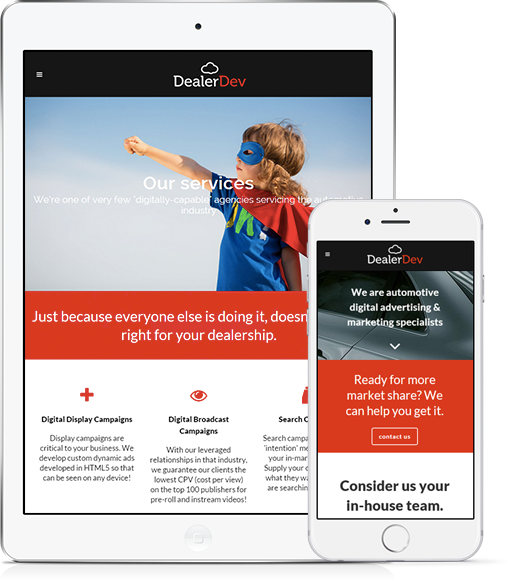 DealerDev is an Automotive Marketing and Digital Advertising agency with a strong focus in Tier 2 and 3 automotive entities. 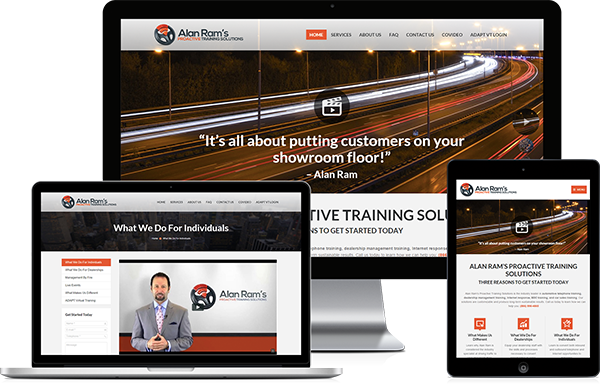 DealerDev was in need of corporate identity creation, responsive web design and application development services. 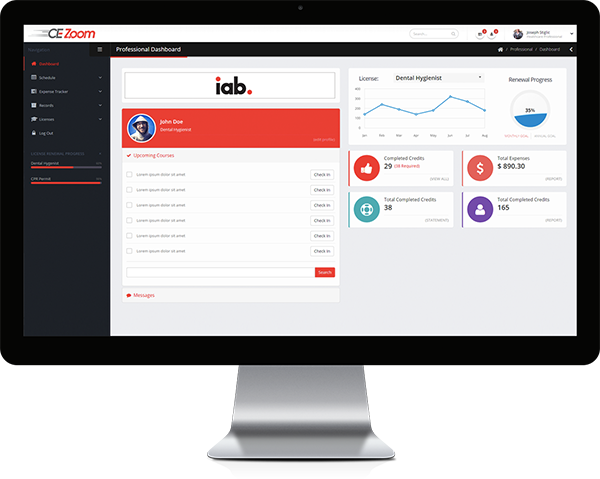 We created an array of design materials, responsive public facing website, and back end tools for project management, client services, and customer relationship management. Herk and Associates is the nations leading recruiting agency for the heavy equipment industry. 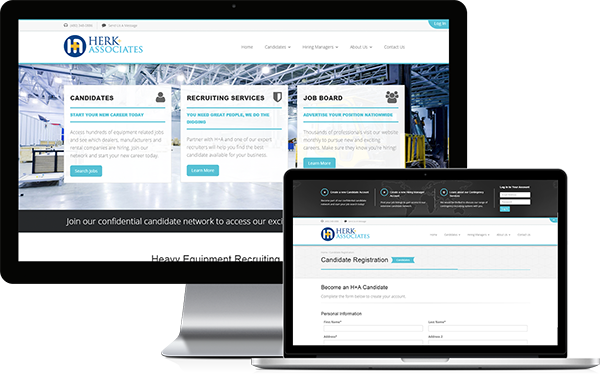 As a long term client of TDevelopments Herk and Associates benefits from being one of few cloud based recruiting agencies which advertises and places candidates for the best heavy equipment jobs in the industry. We engineered a rock solid web application at the core and responsive user interface to delight multiple types of users. In addition to traditional job searching job candidates can opt in to an automated process which notifies them of every position they might be interested in. Hiring managers have the tools they need to effectively place jobs and analyze the effectiveness of those ads and candidates who have applied.